Plantation shutters offer a good view due to their wide blade, allow ample air flow without affecting the life of the shutter and control light and privacy making them functionally practical. Made from 100% furniture grade Basswood, a quality, fashionable and family friendly shutter, being the most durable and lightest. 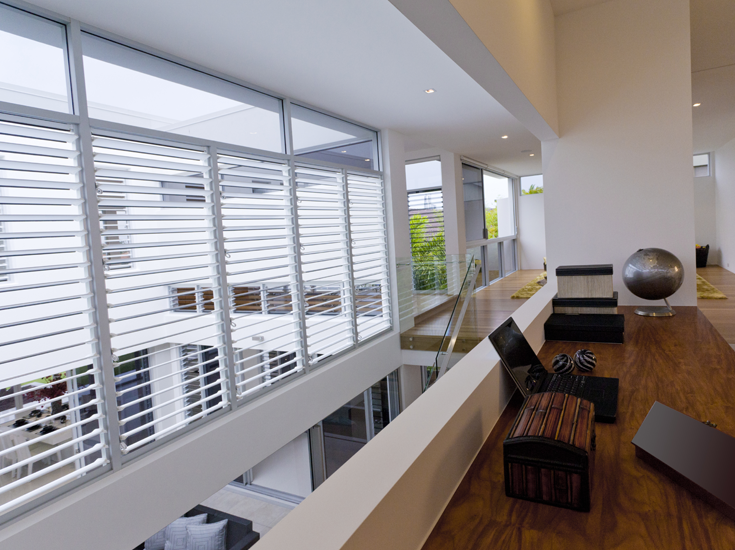 Aluminium Plantation Shutters make an ideal balcony shutter, for courtyards and outdoor areas due to their powder coated finish, if you are opting for a moisture, humidity and UV resistant plantation shutter. PVC Plantation Shutters have an aluminium insert for added strength and durability, suitable for wet areas such as bathrooms and kitchens, are available in a range of painted finishes in hinged, bi-fold and sliding. Offering a 3 year warranty.